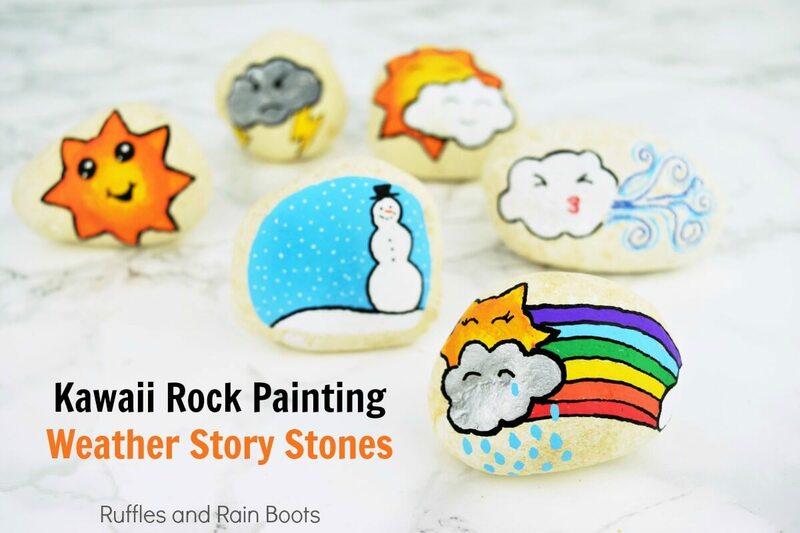 These Kawaii weather story stones are a perfect way to help young kids learn about weather. And it doesn’t take an artist to make these weather stones – we’ll show you how with pictures and video tutorials! 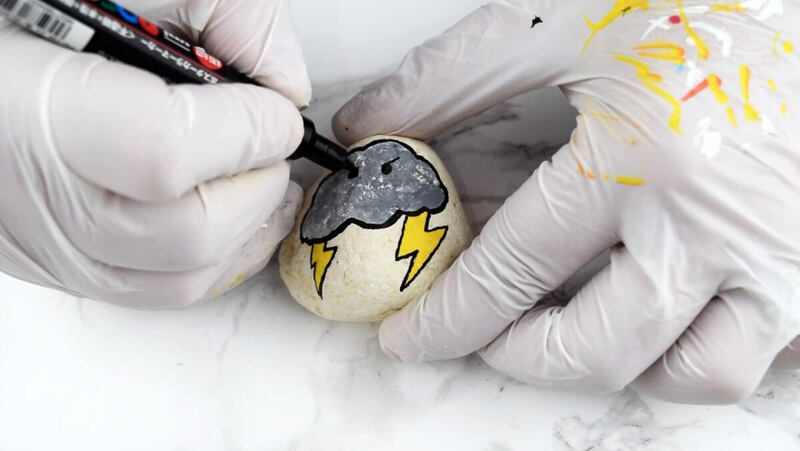 The cute faces on these adorable Kawaii weather stones are so inviting – even the grumpy lightning stone is beyond cute! Because the faces are simple, kids will be able to make them without help. And for my 6-year-old who currently EXCELS at demonstrating her independence, this is huge. 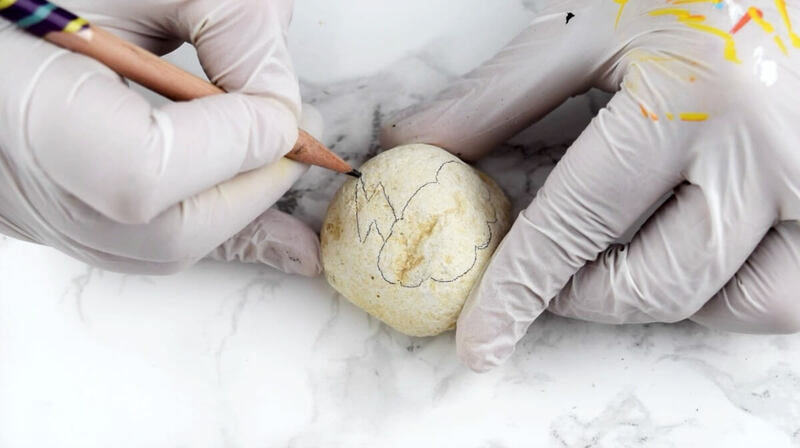 We’re pretty big fans of rock painting here at Ruffles and Rain Boots because it’s a way to get the kids really involved in art, storytelling, and even demonstrations of kindness. 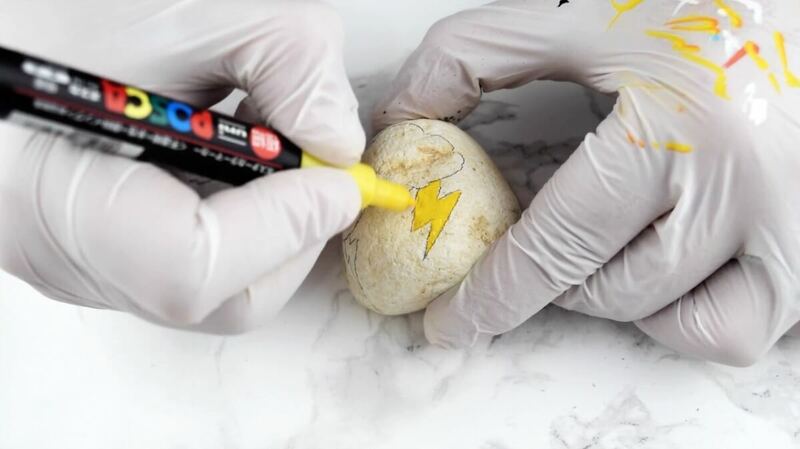 If you’re new or need some ideas for painted rocks, check our simple rock painting ideas for kids. I’m only going to include a single stone’s instructions here because I’ve made videos for each of the stones. Each video is below. Outline your stone. One tip: make light pencil marks where using light paint colors (or just erase them slightly before painting). Paint each stone, keeping sure to avoid adding too much paint. The idea of the paint pens is to cover, not drench. Most colors will only need one coat, with white being the exception. Add on the Kawaii face. If you make your snow stone’s snowman large enough, a happy, closed eye smiling face would be cute. Ours was too small for it to be noticeable. A tip: if you want to blend paint pens, be sure to try the look using a dry paintbrush. For more on that, see our How to Blend Paint Pens tutorial. Cover each painted section of stone in a light coat of ModPodge. Be sure not to go over and over the design, otherwise, the colors will run. Once the ModPodge is dry, coat in polyurethane (or this outdoor ModPodge). If you or the kids are visual learners, these videos will help to guide their creations. Kawaii faces are easy to make but are so expressive and I honestly believe that’s why kids love them so much. 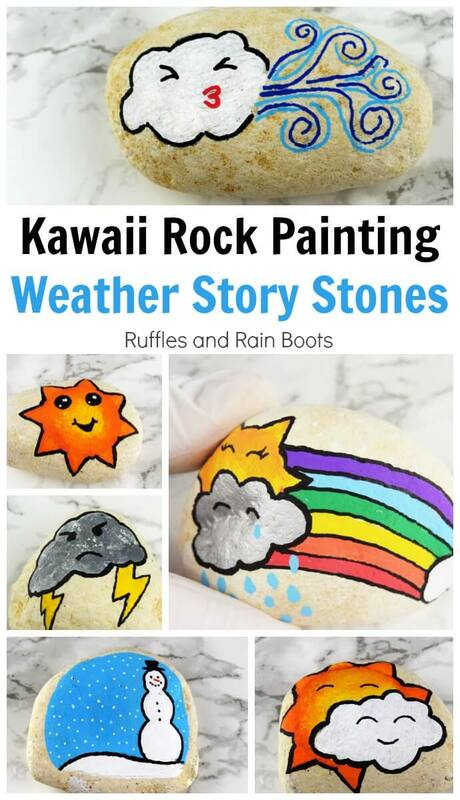 These Kawaii weather story stones really are such fun to make and play with. If you’re a rock painter and hider, consider hiding these all together in a set to make someone’s day. We love the rock painting community and are very active on Facebook. Would you share this fun set of story stones on your Facebook page or in one of the groups? We sincerely appreciate your shares – they’re how we grow!